Can this product be upgraded or accessorized? Many factory-installed options are available for this item! Please contact our customizable team for more information and pricing. 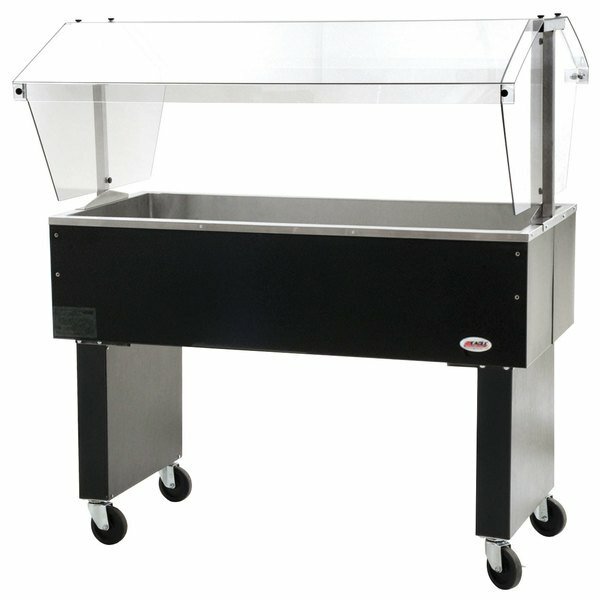 Put salads, chilled beverages, desserts, and more on display in your buffet line or banquet hall with this Eagle Group BPCP-3 48" Deluxe Service Mates portable buffet table! This ice-cooled table holds food and beverages at ideal serving temperatures without the need for restrictive refrigeration or electrical components, giving you the most flexibility possible when determining the table's location. 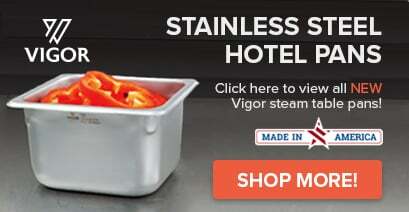 Its 20 gauge type 304 stainless steel insulated ice pan is 6" deep and accommodates 3 full size food pans, while the crystal clear Tuffak® sneeze guard reduces the risk of airborne particles contaminating your food without obstructing product visibility. Boasting a vinyl-covered 22 gauge steel body and 18 gauge open base, this buffet table is not only extremely durable, but it looks great during front-of-the-house operation. Plus, four 4" swivel casters, two with brakes, allow you to maneuver it into position and lock it into place during peak serving times. Then, when your event is over, you can simply wheel it back to the kitchen for easy cleaning and maintenance. Front to Back (without sneeze guard): 22 9/16"